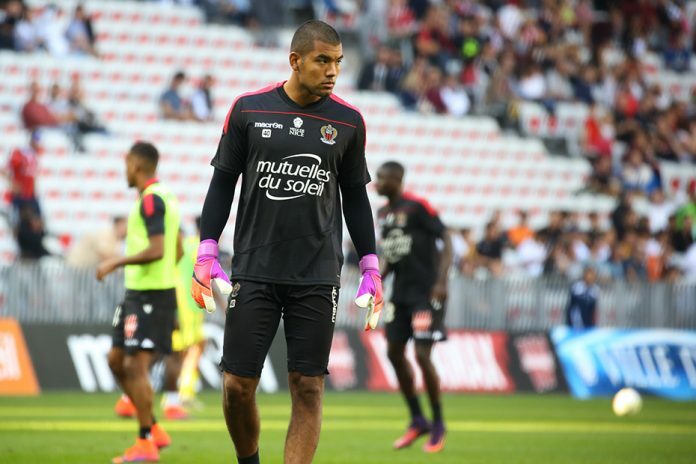 Walter BENITEZ of OGC Nice has an impressive statistic to his name. 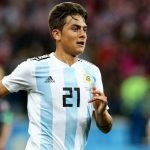 BENITEZ, who represented Argentina at the U20 level during the South American youth tournament in 2013 has yet to be given a chance with the senior team. 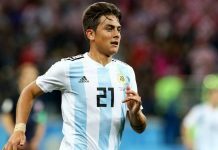 However, with all of the changes happening, it couldn’t be a bad thing if he was given a chance with the team. Per Opta, the 25 year old BENITEZ has saved 84.9% of the shots he has faced in Ligue 1 this season. Only Liverpool goalkeeper ALISSON, who has an 85.3% save percentage has done better in the Top 5 European leagues this season. With Geronimo RULLI not being in top form, Sergio ROMERO not playing, Paulo GAZZANIGA just receiving his first call-up and Franco ARMANI being in and out of the team, perhaps giving BENITEZ a chance would work. We’ve had six games to experiment. In March we should play with the team that starts at the Copa. Although Benitez is welcome, the time to test more new names is up. Spot on. 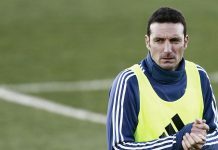 Scaloni should summon 23-24 ( for Copa) players and also should play with first XI he has in mind for Copa during the March Friendlies. I would prefer an outstanding shot stopper with average foot skills over a keeper with outstanding foot skills and average shot stopping. statistics can be misleading . I have not seen Benitez play . so cant comment . But its important to see how he specifically played against top teams like PSG & Monaco . More than half of French league is no below world class & a goalie excelling there on shot stopping can be bcos of substandard strikers . If he is playing at same level against top 5 clubs of French league – then he should definitely be given a chance. My thoughts on Armani is that he is at best a stop gap keeper. Gazza is 100% the top prospect – but he needs to have regular matches to seal spot & he will not get that at Tottenham with Lloris & Vorm around. Till then Romero is the safe bet – quite an enigma in world football – an eternal club reserve for last 5 years or so – but still seems to be play quite well in NT socks. It’s true I don’t know why he played marschesin. Juan Musso is also impresive! Besides, DC United midfielder Luciano Acosta is doing fantastic! They should be considered for a call up! If Benitez and Musso continue to impress they should be able to force themselves into the team. 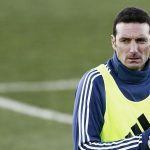 Scaloni is the only coach in recent memory who has the huevos to call them up. I think right now Argentines best goalkeeper is Juan musso of Udinese..
Benitez’s problem is also passing. His shot saving skill is very impressive. Yea we could have won the wc had he selected in the wc team…. LOL that put a smile on my face… Anything can happen in Argentine League. If so good – truly deserves. Simply. Even if farmer from farmer league. Didn’t get it ,troll or praise ?? Taki it directly: he deserves but according to some people standards he should be out of rule because the league is not among top too. Yes! Agreed! He deserves a chance & we should fixed our no.1 gk asap!